As we all know there are many games available for Android. But in all that big pile of games some gems may be overlooked. So I created my own top 5 Android games by small developers. We all know chess and we all know Wordfeud. The great part of Wordfeud is the ability to play agains your friends or random opponents. 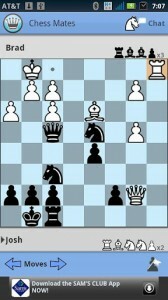 This version of chess combines the great online approuch that made Wordfeud so popular. If chess is your game, be sure to get Chess Mates from Aptitude Labs LLC. I Just love good puzzle games, and Recombustor from Eike Decker is no exception. This great puzzel game will keep you coming back every day. The clever meganism gives this game a fresh feel. Rocket Craze from Rixment is based on a concept that been around for a while now. But that does not mean you can’t improve the concept, and that’s just what Rixment did. 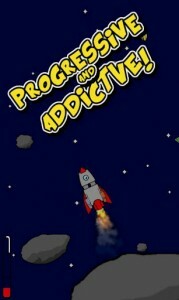 Upgrading your rocket is fun and it will take some skill to reach the moon. Be sure to check this game out. 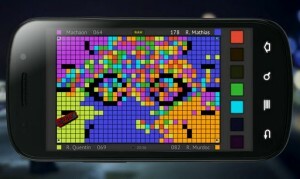 Quadratum Lite from Machaon studio is a fun game where you try to get the board to turn your color. 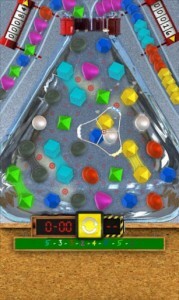 It’s a puzzle game that is hard to explain. The only thing I can say about this game is you need to try it out! Although playing against the computer gets old after a while, it could use a online multiplayer mode, still it’s great fun. Wordfeud is old, [WordHero] is becoming the next new buzz. And once you played it you will find out why. In this game it’s the challenge to find as many words in a limited amount of time. That by it self is great fun, but what makes this game stand out from the crowd is the great online competition. You are not playing against one opponent but against everyone! You will keep on trying to improve your highscores and getting as high in the leaderboard as possible. 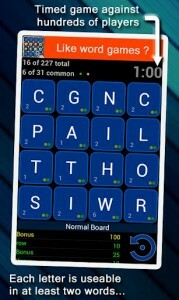 If you liked Wordfeud be sure to checkout [WordHero] from SVEN Studios.